Bright yellow to orange fruit with similarly colored flesh, having a acidic flavor. 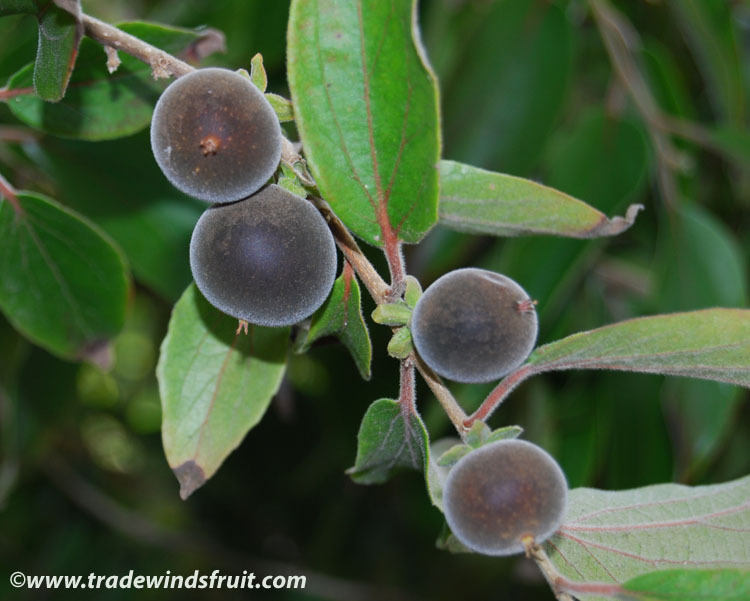 The fruits are very juicy and resemble small flattened apricots. The plants contain prominent spikes on the branches. 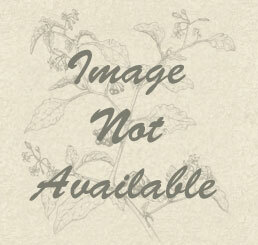 For the most part, both male and female plants are required for fruit set. There are some female trees that will bear without a male. Trees exhibit allelopathy and will inhibit the growth of other plants nearby. Fruiting is generally very intense, with fruits lining the branches for several months during the summer. 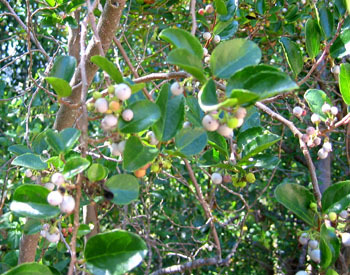 A subtropical shrub or tree, capable of surviving temperatures to 20F. 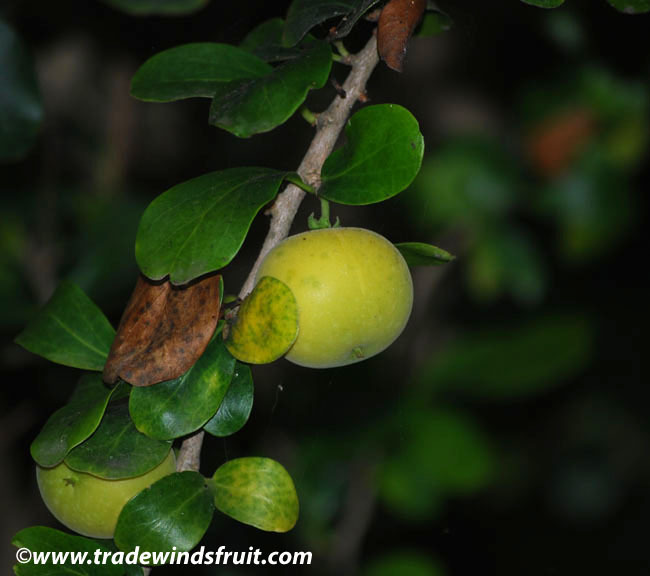 Kei apple's are both drought and salt tolerant and are often used as coastal landscaping shrubs. Usually by seed. Plants bear in 4-5 years from seed. Fruits are often sprinkled with sugar and eaten fresh. They can also be used in a variety of desserts. Native to the Kei River region of Southwest Africa. 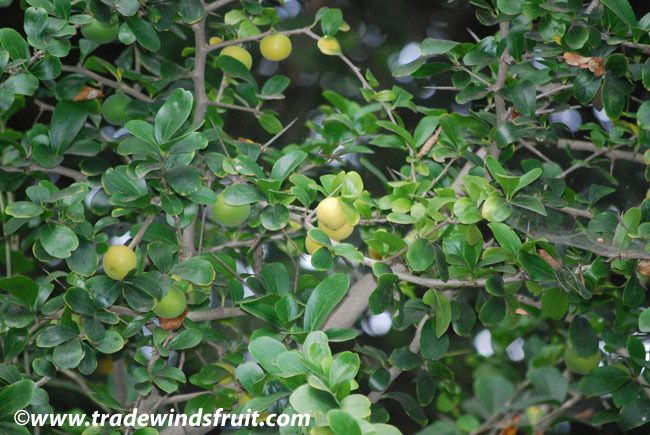 The Kei Apple has adapted to subtropical regions throughout the world and is sometimes planted for ornamental purposes in Florida, California, and Southern Europe.